Conflicting versions of this story exist, so the tale of the Lady in the Lake should be read as speculation surrounding an unsolved mystery, not indisputable fact. There are few places more beautiful or serene than Lake Placid, but in 1933, the 5.5 mile long lake in the Adirondacks became the setting of a very compelling mystery. Mabel Smith Douglass was one of the most successful women of her time, having broken through the glass ceiling to create and serve as the inaugural dean of the New Jersey College for Women at Rutgers. The school would later be called Douglass College. While her professional life soared, though, Douglass's personal life began to sink. Her husband met an untimely death in 1917, and her son committed suicide six years later. Douglass entered a mental health facility after having a nervous breakdown, and emerged a year later. Douglass's family owned a house on Lake Placid, Camp Onondoga, and her daughter brought Douglass there for a mental reprieve after leaving the mental health facility. On September 21, 1933, the ladies had packed up the camp for the season, and planned to return to New Jersey the next day. After telling her daughter she was going to collect leaves for decoration, Douglass launched the family boat into the water. 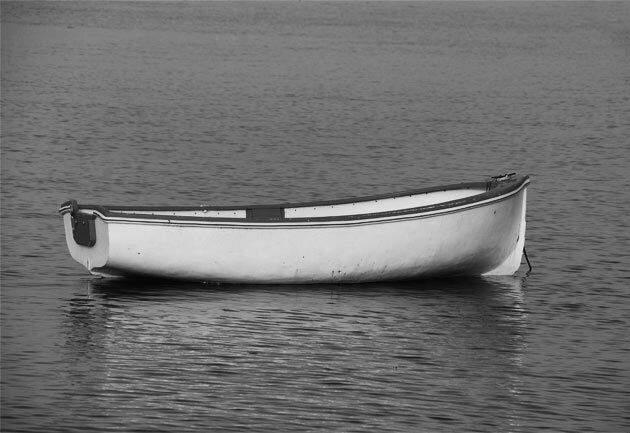 She paddled for two miles, and wasn't seen again for 30 years. On September 15, 1963, a group of scuba divers was exploring the area of Lake Placid near Pulpit Rock, one of the deepest points of the lake. Approximately 100 feet below the surface, the first two divers - Richard Niffenegger and Jimmy Rogers - saw an erie white mannequin. Upon further inspection, and to their great surprise, the divers realized the figure was not a mannequin, but the preserved corpse of a woman. The pair noticed that a 50-pound anchor was tied to the corpse's neck with a short rope. When they tried to bring the body to the surface, though, the woman's facial features disintigrated, and her arms and head fell off. Since Douglass's disappearance was the only unsolved one in Lake Placid, investigators were able to determine that the recovered corpse was hers. It is believed that her body was so well preserved because of the freezing temperature in the area of the lake where she was found, and also because of the mineral content of the water. The official cause of death was declared as accidental drowning, but many speculate that the turmoil in Douglass's personal life led her to commit suicide. Finally Laid To Rest...Or Was She? By the time Douglass's body was recovered, there were no living relatives to claim her. Douglass's daughter committed suicide in 1948 after the death of her husband, so officials from Douglass College managed the funeral arrangements. Douglass was buried in Brooklyn's Green-Wood Cemetery, which is also the final resting place of her husband and children. Although her body was recovered, Douglass's spirit may have never left her watery grave. Many people have reported seeing a ghostly figure of a woman hovering near Pulpit Rock, and these sightings by campers and boaters have kept the legend of the Lady in the Lake alive to this day. Mabel Smith Douglass's story has been immortalized by two local authors. In 1983, Bernard F. Conners published "Dancehall," a fictionalized version of the mystery that features a young woman who was violently murdered. Two years later, "A Lady in the Lake" was published by George Christian Ortloff. This version attempted to reveal the truth behind the mystery, but wound up noting that there were conflicting aspects to the tale.